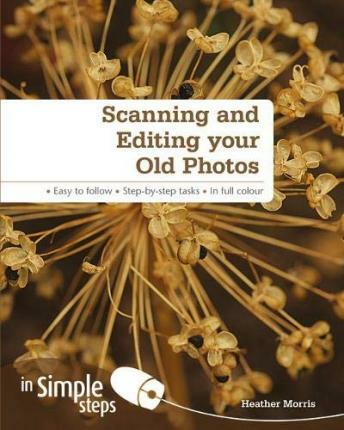 This book is aimed at the millions of people with printed photographs they would like to preserve digitally. It will show the reader how to choose a scanner, get good scanning results, choose editing software, and edit, organize, and archive their scanned images. a) Problem 1: I'm getting a message that says my scanner isn't recognized or connected. c) Problem 3: I can't batch scan my photographs. f) Problem 6: It's difficult to make out details on my monitor. g) Problem 7: I'm not happy with my scans of black and white photographs. h) Problem 8: I can't repair my damaged older photographs. j) Problem 10: I'm running out of memory on my computer.